The Convair XFY Pogo tailsitter was an experiment in vertical takeoff and landing. The Pogo had delta wings and three-bladed contra-rotating propellers powered by a 5,500 hp Allison YT40-A-16 turboprop engine. 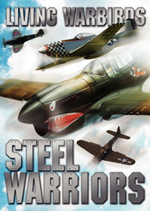 It was intended to be a high-performance fighter aircraft capable of operating from small warships. Landing the XFY-1 was difficult as the pilot had to look over his shoulder while carefully working the throttle to land. After World War II, the brewing conflict between the United States and the Soviet Union prompted top United States Army and Navy to study VTOL operations. It was envisaged to protect task forces, convoys or any fleet, even without aircraft carriers, by placing VTOLs virtually in any ship. These fighters would be housed within a teepee-like protective housings, saving limited deck space available aboard ships. They would provide first line of airborne defense and reconnaissance capability, before more aircraft could be scrambled to help.. In May 1951, Lockheed and Convair were awarded contracts in the attempt to design, construct, and test two experimental VTOL fighters that would be suitable for use by the Armed forces. Although contract stipulations stated that each manufacturer have two fighters, each was only able to construct one, with Lockheed producing the XFV, and Convair producing the XFY, nicknamed the "Pogo". 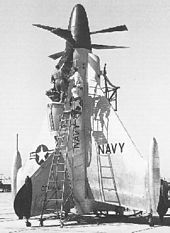 Picture - The XFY-1's pilot entering the aircraft via a ladder. On 19 April 1954, a Convair engineering test pilot and Marine reservist, Lieutenant Colonel James F. "Skeets" Coleman, made the first tethered flight in the Pogo. 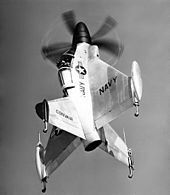 The XFY-1 was like no other propeller driven aircraft before it. No previous aircraft with a similar weight, engine power, or size had ever attempted to take off and land vertically. For the safety of both the craft and its pilot, the propeller hub cover was removed and replaced by safety tether lines for the first flight, in case Coleman would lose control of the craft and would need to be tethered to prevent the craft falling to the ground. On the other end of the tether was another engineer, Bob McGreary. If Coleman ever lost control, McGreary controlled the winch which could be turned to raise the tethers to prevent the craft from plummeting to the ground. For further safety preventions, four security cables were fastened to each wing in case control was lost in any axis. Throughout the next few weeks, Coleman logged almost 60 hours in test flights in the Pogo, and by August, the test was moved to outdoor conditions. On 1 August 1954, Coleman logged two outdoor test flights, the second flying 150 ft (45.7 m) into the air, and shortly after he flew 70 takeoff-landing drills at the Naval Auxiliary Air Station in Brown Field, California. The first conversion to horizontal flight took place on 2 November 1954. Upon later flights with longer durations, flaws in the design were found. Due to the Pogo's lightweight design, and the lack of spoilers and air brakes, the aircraft lacked the ability to slow down and stop efficiently after moving at high speeds. Landing was also a problem, as the pilot had to look back behind himself during a landing to properly stabilize the craft. It became evident that even if technical problems could be overcome, contemporary VTOL aircraft would be flown only by the most experienced pilots. Thus, it was not feasible to place VTOL fighters-as previously hoped for-on every ship. As jet engined fighters approached Mach 2, turboprop VTOL fighter became disadvantaged with only half the top speed. Due to these problems, the XFY Project was put on hiatus. Although a test flight was made on 19 May 1955, it again ended with failure, and on 1 August 1955, the project formally concluded. The last flight of the Pogo took place in November 1956. 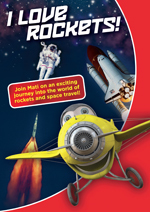 The Pogo was moved to the National Air and Space Museum in Suitland, Maryland in 1973, where it currently resides. Allen, Francis J. "Bolt Upright: Convair's and Lockheed's VTOL fighters". 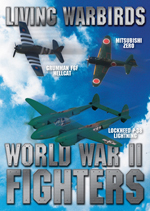 Air Enthusiast (Key Publishing) Volume 127, January/February 2007, pp. 13-20. ISSN 0143-5450. Winchester, Jim. 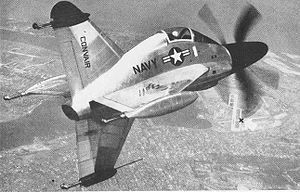 "Convair XFY1 'Pogo'." Concept Aircraft: Prototypes, X-Planes and Experimental Aircraft. Kent, UK: Grange Books plc., 2005. 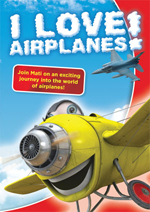 ISBN 1-84013-309-2.